It is International Men’s Day on 19th November. Around the world, the focus on this day will be on men's and boy’s health, improving gender relations and highlighting positive male role models. More importantly the celebration day for 2016 has a focus on suicide and depression amongst males. Rates of suicide are higher in males then females in every country bar China. 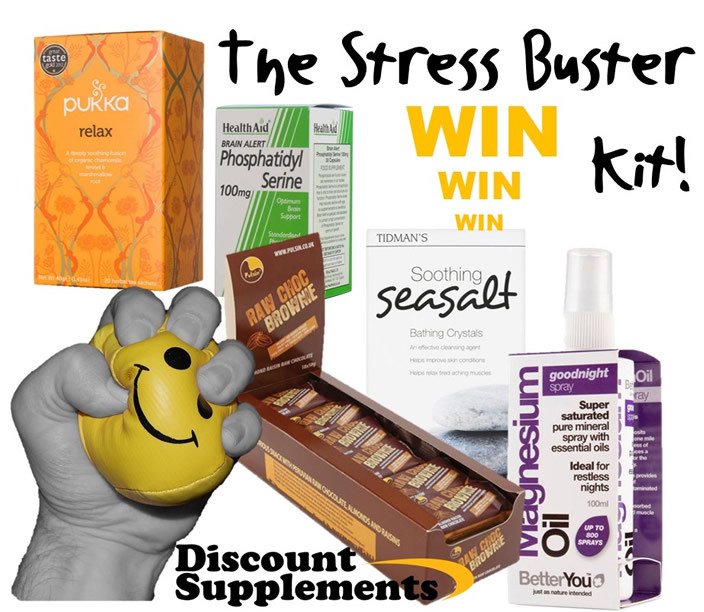 To help keep you in Optimum health, Discount Supplements have created a stress buster kit, suitable for males and females! The idea being that whatever you do on the day you must take some time out for yourself and your health. There will be two lucky winners. Enter via the Gleam widget below. All the best. A great cause to raise awareness of. Mens mental health, particularly depression, is often neglected I think. They are expected by society not to cry or show feelings but we need to say it's ok to be sad or need help. Awesome thanks for running this competition. I do believe Men do need to have a media presence to show that showing your feelings is OK with the World & makes you a stronger man.